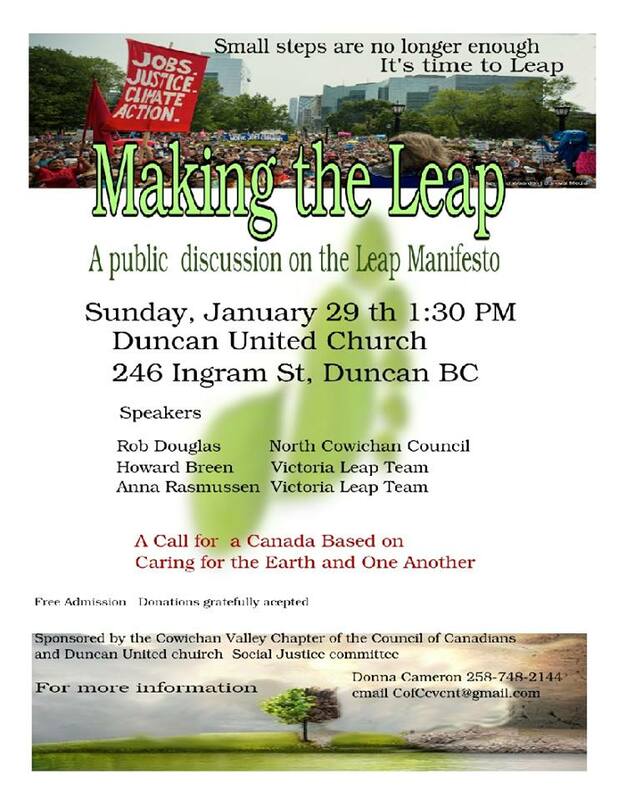 Join us January 29th from 1:30 – 3:30 at Duncan United Church for a conversation hosted by the Council of Canadians on how we make “The Leap” to a more just and climate resilient community and world. Stop by our table and have a chat. 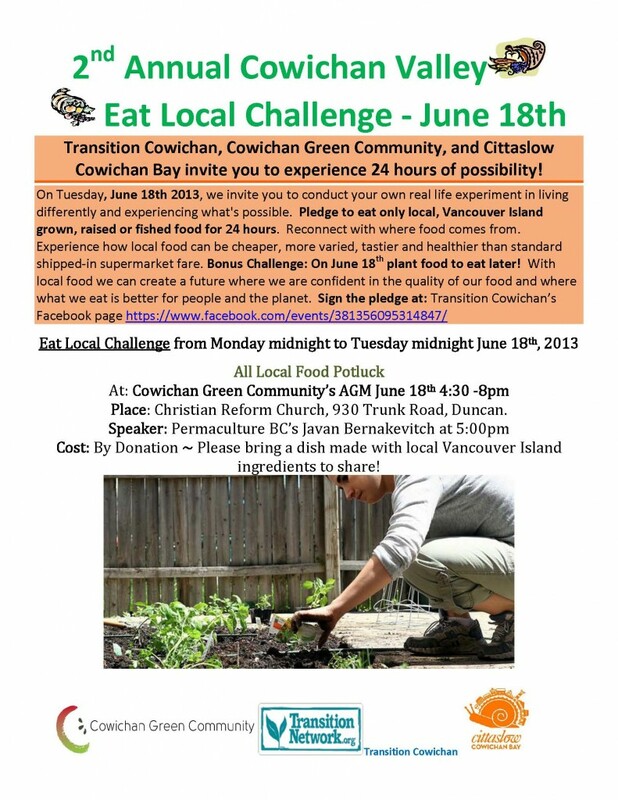 We’d love to have your input on how we can act locally to make “The Leap”. 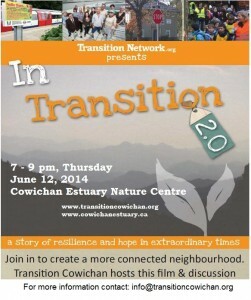 The next showing will be at the Cowichan Estuary Nature Centre in Cowichan Bay at 7pm on Thursday, June 12th. By donation. Doors open at 6:30pm Bring your neighbor! Join us Tuesday from 4-6pm for hot cider and good conversation. Bring an appetizer to share and either a non-perishable food item or a donation of underwear for those in need. 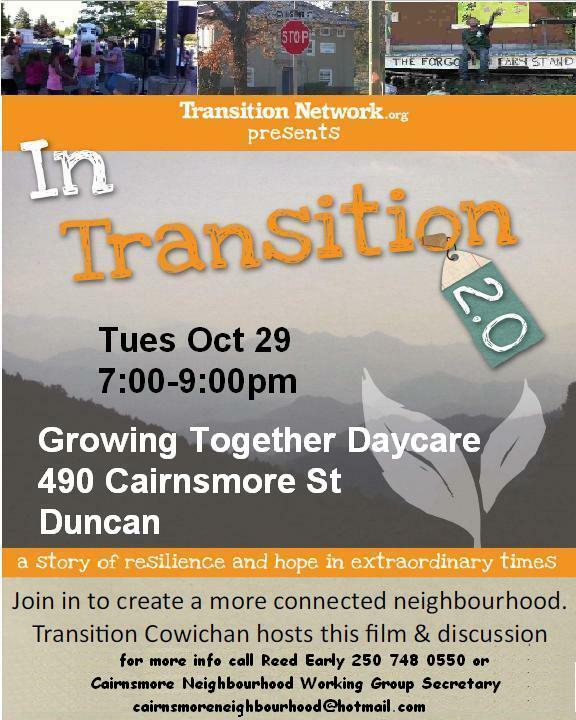 If you live in the Cowichan Valley, and especially if you live in or near the Cairnsmore neighborhood in Duncan, and are interested in making your neighborhood more sustainable, resilient and able to respond to emergencies, please join us this evening for a film and discussion Tues, Oct 29th at 7pm at Growing Together Daycare, 490 Cairnsmore St. in Duncan. 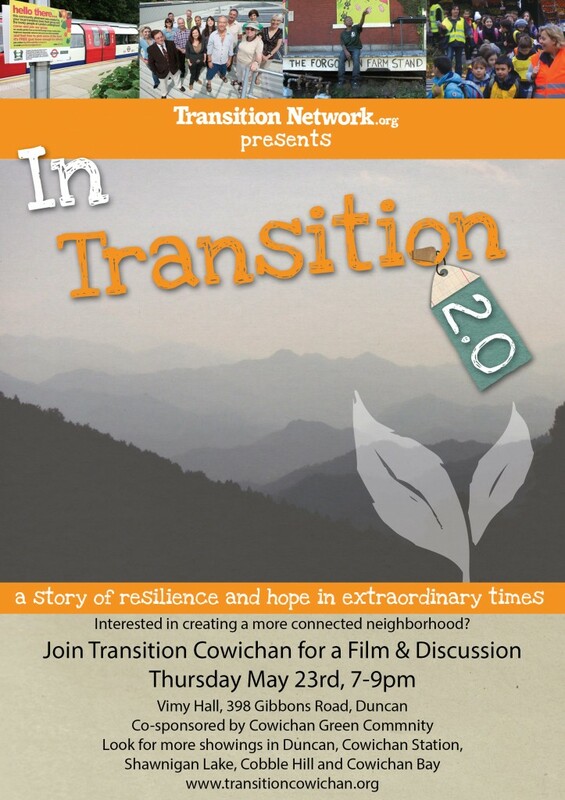 Transition Cowichan is organizing a group to car pool to Salt Spring Island for the Eco-Living and Home Tour on August 11th. Interested in joining us? We’re organized to buy a group of tickets. 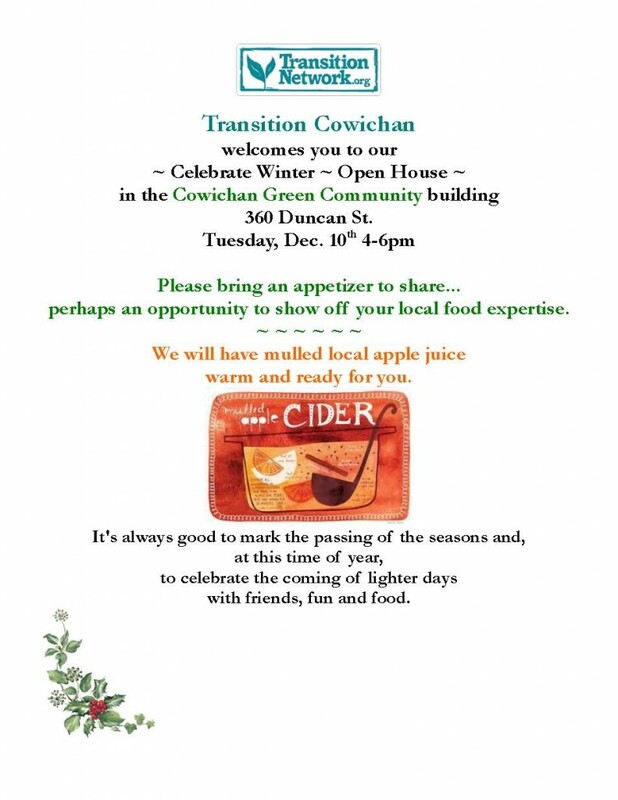 There is now a “Transition Cowichan Eco-tour” envelope at the Cowichan Green Community Store desk in Duncan. 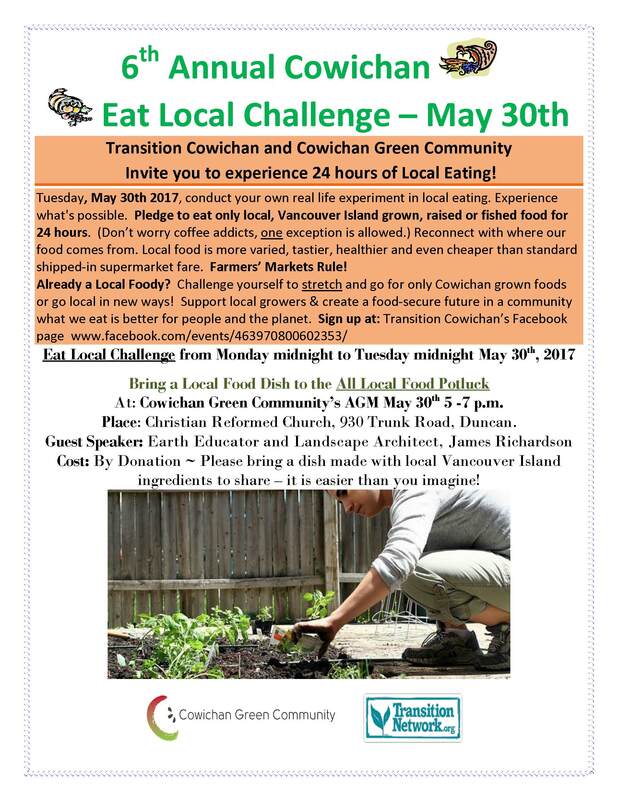 You can drop off your $20 tour there – cash or a cheque made out to “Transition Cowichan” – and sign up on the list with your contact information. We’ll contact you with details before the tour. August 6th is the deadline for people to sign up to go as part of our group, which gives us time to work out car-pooling and other final details after we know our numbers. 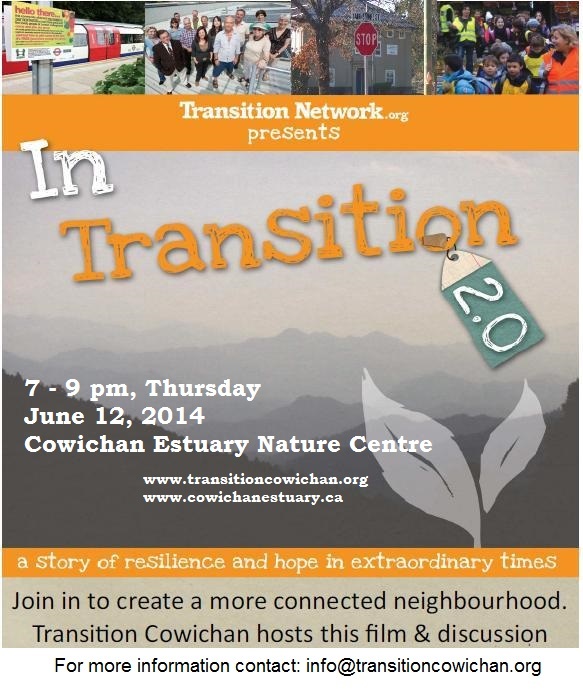 Contact info@transitioncowichan.org for more info. 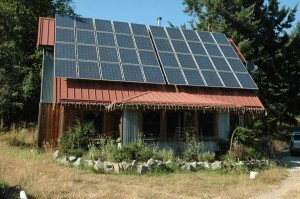 Interested in creating a more connected neighborhood or community? 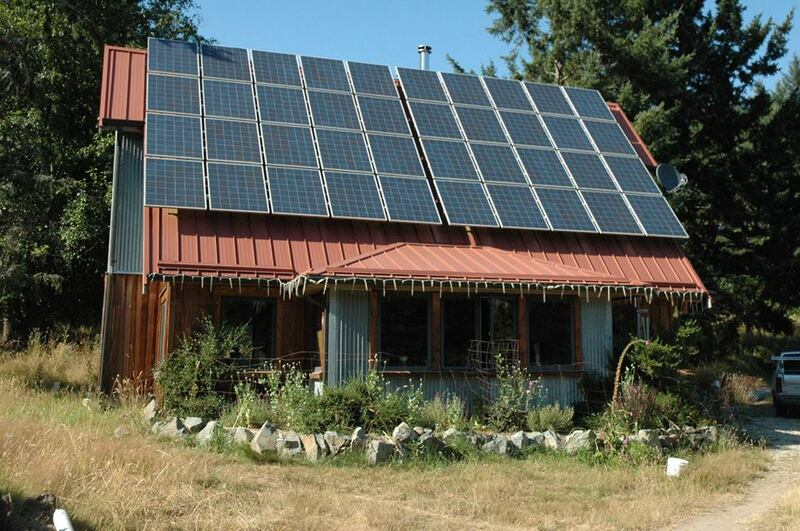 stay tuned for more showings in Duncan, Cowichan Station, Shawnigan Lake, Cobble Hill and Cowichan Bay.